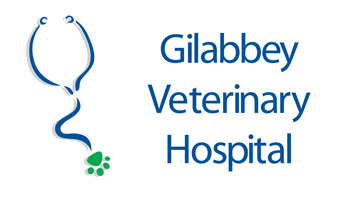 Gilabbey Veterinary Hospital is pleased to announce that we have taken on an investment partner (CVS Group plc) to help us to maintain and substantially increase and improve the range of services that we can offer our valued clients. ​The ever expanding range of new equipment and resources required to continue to provide a top class small animal first opinion and specialist referral service is a very big challenge. This new Partnership will now secure and support our exciting development plans long into the future. From our customers viewpoint there will be no difference to the ethos of how the practice is run. The same team both in the office and in the hospital will continue to look after you and your pets. Our core ambition is still to maintain and develop patient care through excellence in small animal and exotic veterinary practice. CVS was established in 1999 and is currently the largest integrated veterinary service provider in the U.K. and has demonstrated a passion and commitment to the improvement of veterinary services. They own over 475 veterinary surgeries in the U.K., the Netherlands and Ireland, across small animals, large animals and equine specialisms, including small animal and equine referral practices. This new partnership has immediately enabled us to invest in a new CT machine which will be installed over the coming months in Gilabbey along with other state of the art veterinary equipment which will significantly enhance the quality and range of services we offer in Gilabbey. We look forward too to introducing a dedicated 24 hour emergency care service in the very near future. We are very excited about CVS coming on board and look forward with confidence to the future of Gilabbey Veterinary Hospital. We want to reassure clients that you will see no change in the interaction you will have either between office, clinical or nursing staff and there will be the same vet and pet continuity of relationship that we have always strived to maintain. Thank you for you loyalty and for continuing to entrust your treasured pet into our care.